or you can rejoice because thorns have roses. This shrub is creating a flurry of gorgeous in the corner of my garden today. I love how the blue, clear sky creates a perfect foil for her white petals. I so wish I could capture the sweet fragrance that is wafting on the breezes -- I'd share it with you. All this beauty right outside my kitchen window. So much for which to be grateful! a pleasant and heart-comforted weekend! great photos, enjoy the peace of today the Sabbath! You always share the nicest quotes Brenda and I like your comfy slippers. I hope Father's Day is bright and sunny. I think that I'm going to start my own quote book so that I can record the thoughtful quotes that you share! Yellow is such a great color. I'll add it to any other color that I might wear or even around the house. I think it goes with everything! 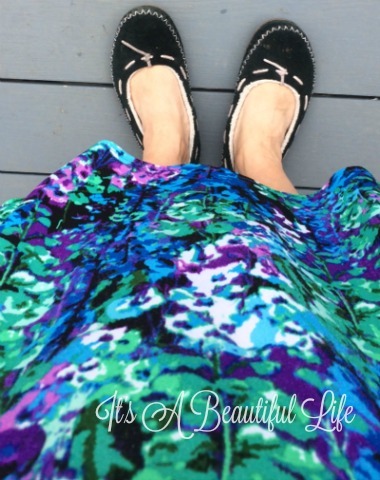 Oh I love LL Bean slippers and I am glad that you do, too. I also tend to use mine in the great world beyond, too. 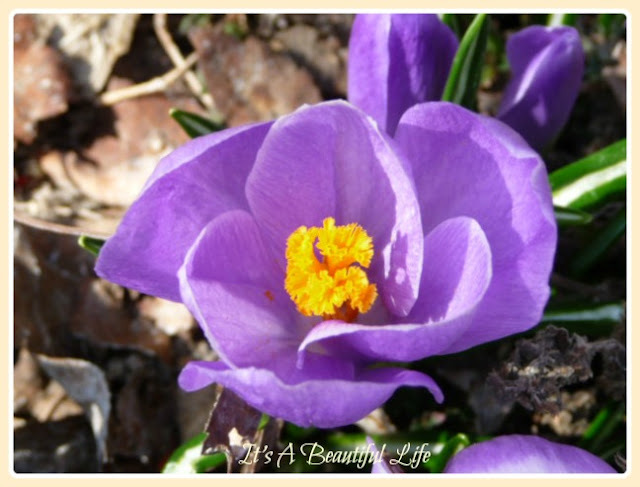 I had no idea that saffron came from crocus centers. Wonderful to learn new things. Hope you had a great weekend and are having a great week! Beautiful yellows! Love the mock orange. My mother has one, and I love its gorgeous scent! The shoes do look cozy. Thank you so much for joining Friday's Hunt. Have a great week ahead! The shade of yellow in that room is perfect. 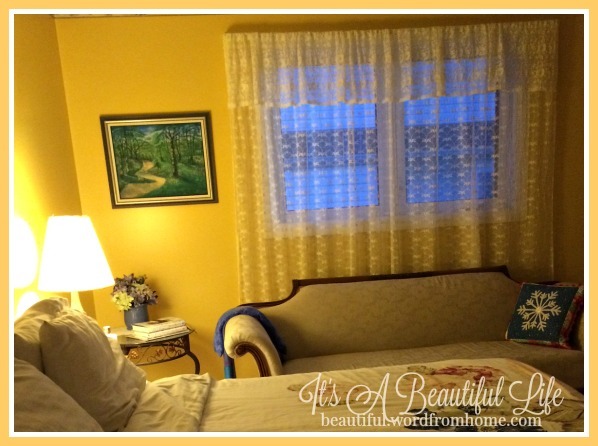 I love yellow too and have dots of it in our bedroom. 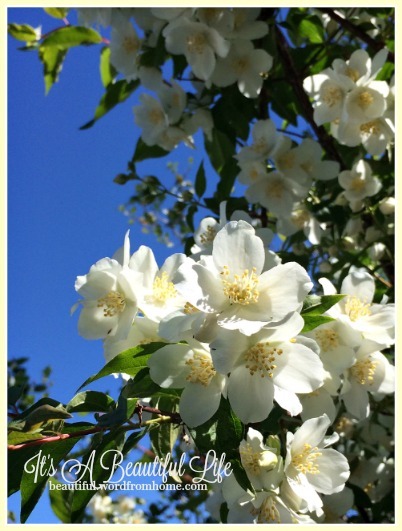 My Grandparents had a mock orange bush, and I do remember that lovely scent! 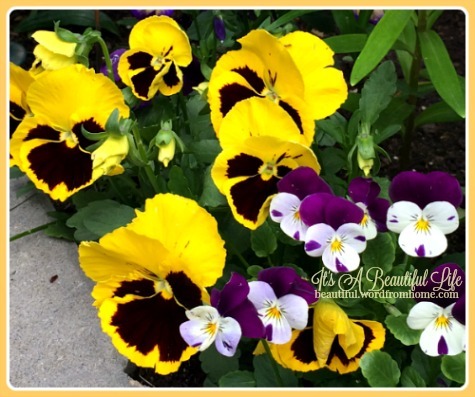 Yellow has never been much of my color, but I do love yellow crocuses and pansies. The lamplight in the room glows a welcome to anyone who enters. Ah Brenda lovely photos as well as thoughts. My folks have a nick orange shrub. It is so fragrant. Thanks for your cheery post. Have a wonderful day. Hugs!